Having spent the day exploring the rugged wilderness of Patagonia, there is no feeling quite like returning home to a warm meal, great service and a top-notch view to match. 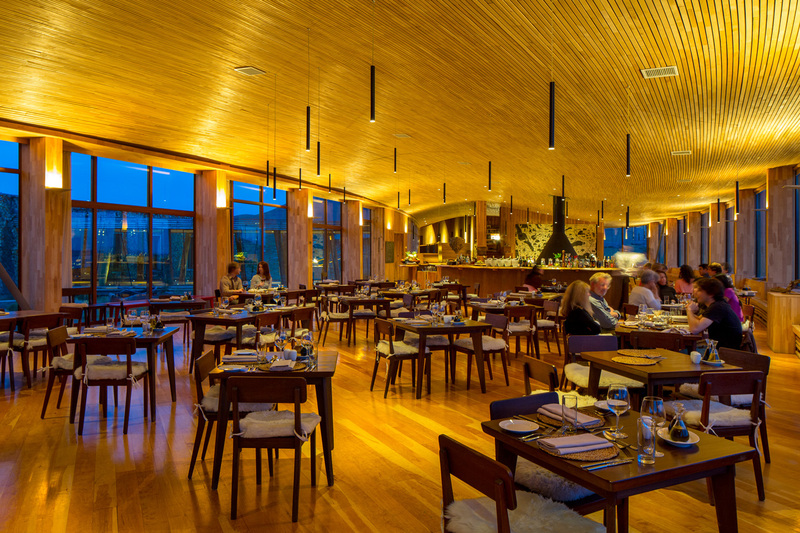 Our Patagonian cuisine is an irresistible mix of hearty stews, slow-cooked soups and tasty dishes, sourced from the nearby estancias surrounding our lodge. Our contemporary approach to both cooking techniques and the ingredients we use results in a broad, varied menu suitable for all tastes, preferences and diets. 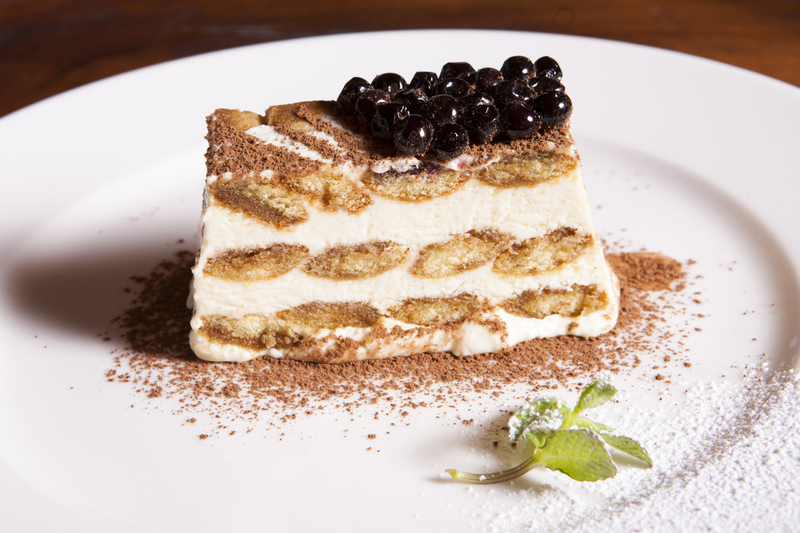 Our onsite chef then prides himself on serving up sophisticated dishes, akin to those found in top-notch city center restaurants which, in this entirely remote location, is all the more indulgent. Warm lighting and softwood tones feel as if you are dining in a true nature sanctuary, particularly as the wild, Patagonian steppe unfolds on the other side of the restaurant’s windows. This space truly is a ‘room with a view’ and at times will showcase the local climate’s whirlwind weather and wildlife at play, during a single sitting. 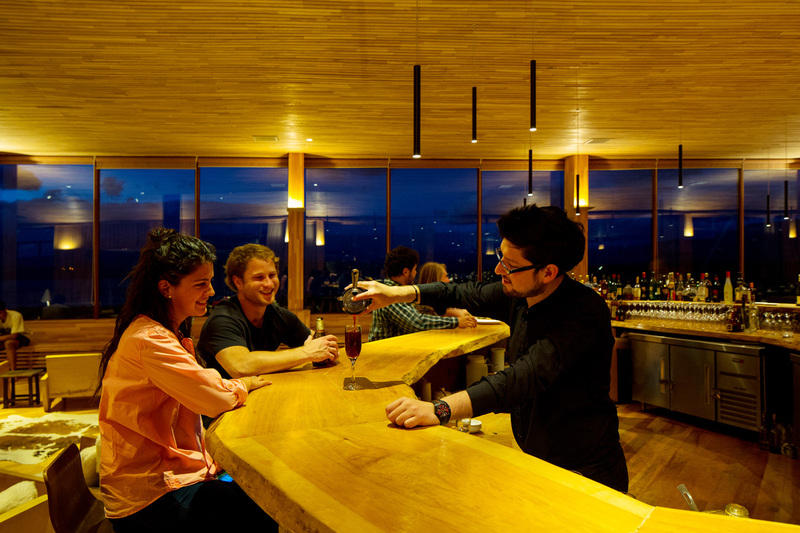 After a day of action and evening of heartwarming food, our grand circular bar is just the place to finish the night. Patagonian beers and some of Chile’s greatest wine labels are there for your enjoyment, not to mention our signature Calafate Sour, a flavor that can only be found in Patagonia.